Glitter Daze - The Witching Hour Trio - Polish Etc. I can't believe it's already October! Where does the time do. But I am pretty excited about it being October, though. Because that means it's Halloween time! Halloween is one of my most favorite holidays. My family has always been big into costumes and really likes to get into the spirit of the holiday. I also like this month because I get to wear all the orange that I like! And I do love orange. So, tonight I have a little Halloween trio to share with you from Glitter Daze. This is a collection of three super glittertastic polishes inspired by famous witches in movies. Let's take a look at these pretties! Click through for all the glitter! "Wikced Witch of the West" is a green leaning teal jelly packed with teal holographic glitters and small copper to green shifting multichrome metallic flakies. This is a stunning color! I love how the metallic flakies peek through and give it a little bit of sinister feel, just like the Wicked Witch. I used two coats with a glossy top coat for this swatch. Zero applications issues, this went on super smooth. "Bellatrix" is a black jelly polish exploding with gold and pink holographic microglitter and tiny bright blue iridescent flakies. The black base is a great opacity. It is opaque enough to cover the nail in two coats but still allows the glitters and flakies to peek through. It definitely has a brooding feel just like Bellatrix Lestrange from the Harry Potter series. 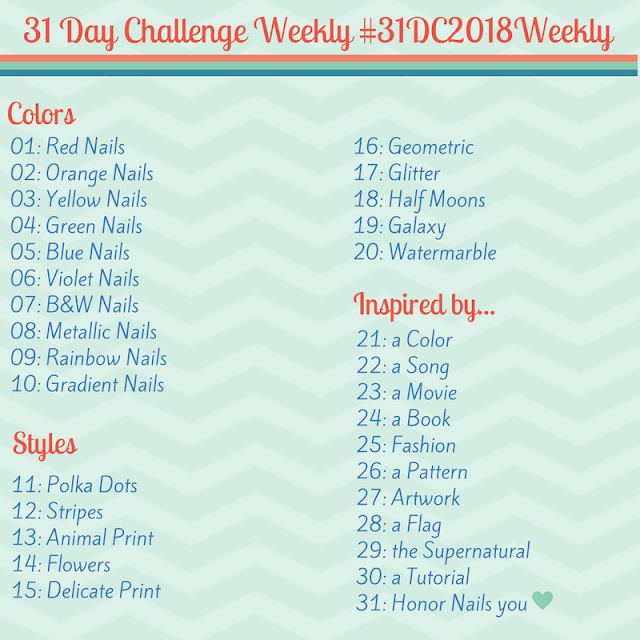 "The Sanderson Sisters" is a red toned purple jelly polish jam packed full of magenta holographic microglitter and tiny gold to bronze shifting multichrome metallic flakies. I love the combo of purple and gold. I think they look smashing together. This polish also had a fantastic formula and was opaque in two coats. This more cheerful color goes well with the Disney Movie, Hocus Pocus, which debuted the Sanderson sisters. 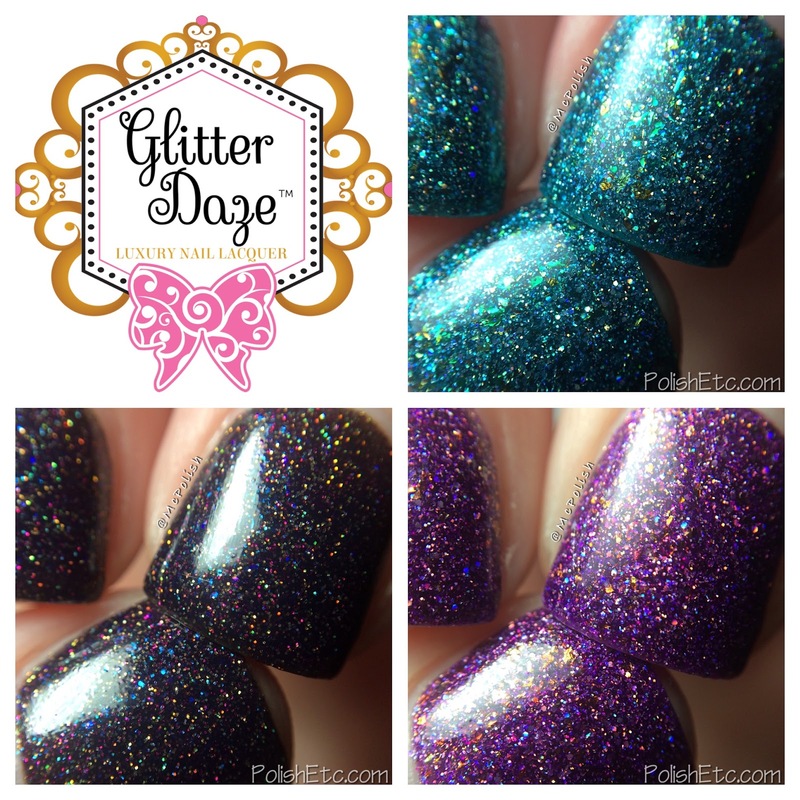 All three of these polishes is available now from the Glitter Daze online store. You can get them individually for $12 each. I didn't see an option listing the whole trio together. Which one is your favorite? It needs an orange. I completely agree! These are epic and I need them!